Should you buy ఆడి ఏ3 or మెర్సిడెస్-బెంజ్ B-Class? Find out which car is best for you - compare the two models on the basis of their Price, Size, Space, Boot Space, Service cost, Mileage, Features, Colours and other specs. 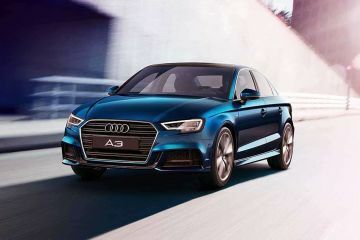 ఆడి ఏ3 and మెర్సిడెస్-బెంజ్ B-Class ex-showroom price starts at Rs 33.1 లక్ష for 35 TFSI Premium Plus (పెట్రోల్) and Rs 31.99 లక్ష for B180 Sport (పెట్రోల్). A3 has 1968 cc (డీజిల్ top model) engine, while B-Class has 2143 cc (డీజిల్ top model) engine. 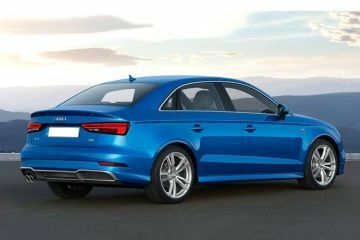 As far as mileage is concerned, the A3 has a mileage of 20.38 kmpl (డీజిల్ top model)> and the B-Class has a mileage of 19.7 kmpl (డీజిల్ top model). 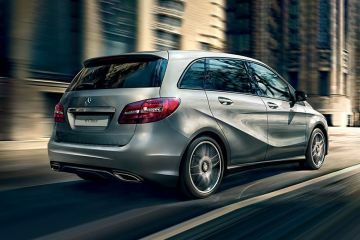 Mercedes-Benz B-Class Just B it! 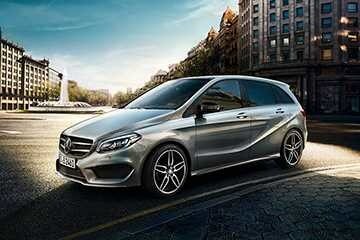 2015 Mercedes-Benz B-Class Facelift Launched - All-You-Need-To-Know-About!